Richard Sibley tests Sony’s Cyber-shot DSC-RX10 II, with new 20.2-million-pixel stacked sensor, 4K video capture and slow-motion video at up to 1000fps. 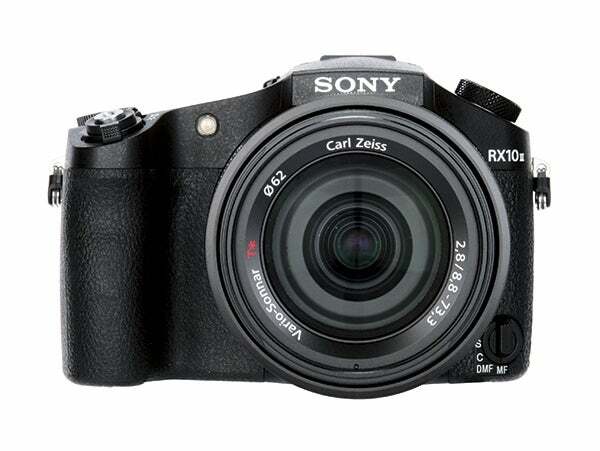 It’s true to say that Sony created a new type of bridge camera with the Cyber-shot DSC-RX10. The original model was released in 2013, and it provides a good balance between the convenience of a bridge camera and the image quality and features of a DSLR camera. With this in mind, the RX10 has a 1in sensor, which is smaller than that of a DSLR, but significantly larger than the compact camera sensors usually found in bridge cameras. The lens is a Zeiss 24-200mm equivalent f/2.8, which again provides the aperture and focal lengths that most enthusiast photographers will need. Since the release of the RX10, Panasonic has released the Lumix DMC-FZ1000 – a bridge camera with a very similar specification to the RX10. However, one area where the Panasonic FZ1000 has the better of the Sony RX10 is in its video capabilities. The FZ1000 can shoot high-resolution 4K video, whereas the RX10 is only capable of full HD 1080p. However, all that has now changed with the introduction of the RX10 II, an updated version of the RX10. Much of RX10 II remains unchanged from its predecessor. However, there is one significant update: the new camera has a ‘stacked CMOS’ sensor. The new 20.2-million-pixel sensor takes backside illuminated (BSI) technology – where much of the circuitry is on the back of the sensor – a stage further and instead incorporates these circuits, with the addition of Analogue to Digital (AD) converters and Dynamic Random Access Memory (DRAM), in a second chip below the main imaging surface. This speeds up the processing time, and it is this new-found speed that makes most of the RX10 II’s exciting new features possible. Many of the RX10 II’s improvements are based around video capture. The RX10 II can match the Panasonic FZ1000 by recording 4K video footage in-camera, but it can now also record at frame rates of up to 1000fps – 40x slower than normal, so 1sec becomes 40secs of video. 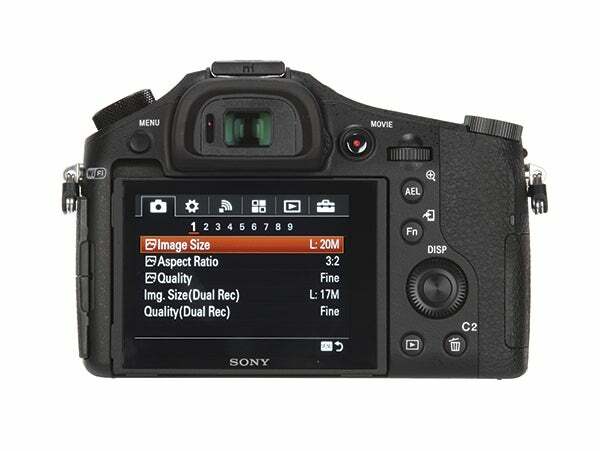 The shooting speed of the camera has also been improved, as it is now possible to capture JPEG images at up to 14fps, compared to 10fps on the RX10. The improved processing power of the RX10 II meant that I was able to shoot a burst of 43 Extra Fine JPEG images in Speed Priority Continuous shooting mode when using a UHS I U3 SD memory card. In standard continuous mode I could shoot 55 JPEG images at 5fps, and 43 raw images at around 4fps, before the shooting rate started to slow. As well as having a mechanical shutter with a maximum speed of 1/3,200sec, there is also the option of an electronic shutter that can shoot at up to 1/32,000sec. When this is combined with the camera’s built-in 3EV ND filter, it means that the maximum f/2.8 aperture of the lens can be used at a low ISO sensitivity – even on a bright sunny day. Of course, the ND filter is also useful when wanting to shoot shallow depth of field footage for video. There is also a new lower ISO sensitivity limit. Like the previous camera, the standard sensitivity range is from ISO 100-12,800, but the expanded range is now lowered from ISO 80 to ISO 64. The lens remains the same as on the RX10, with a Zeiss Vario-Sonnar T* 8.8-73.3mm f/2.8, which is equivalent to a 24-200mm lens on a 35mm full-frame camera.